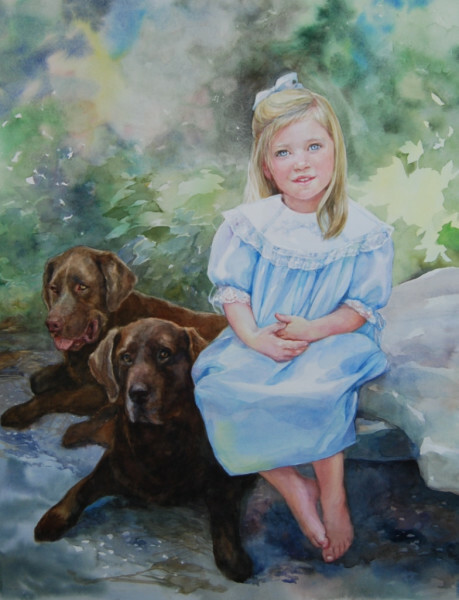 Pam Shank creates fine art portraits, cherished for generations. 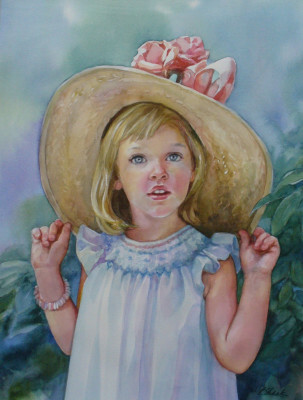 "My passions are children and painting...and I've had the privilege of working with both in my career as an artist. After graduating from UNC at Chapel Hill, I studied traditional oil portrait painting at the Art Students' League in New York City. 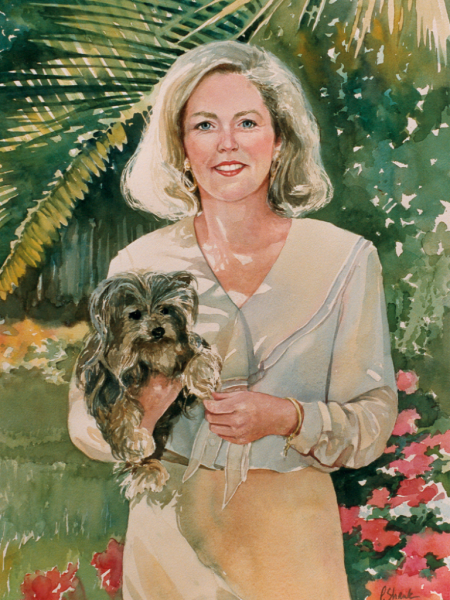 I began experimenting with watercolors and soon developed a unique portrait style. 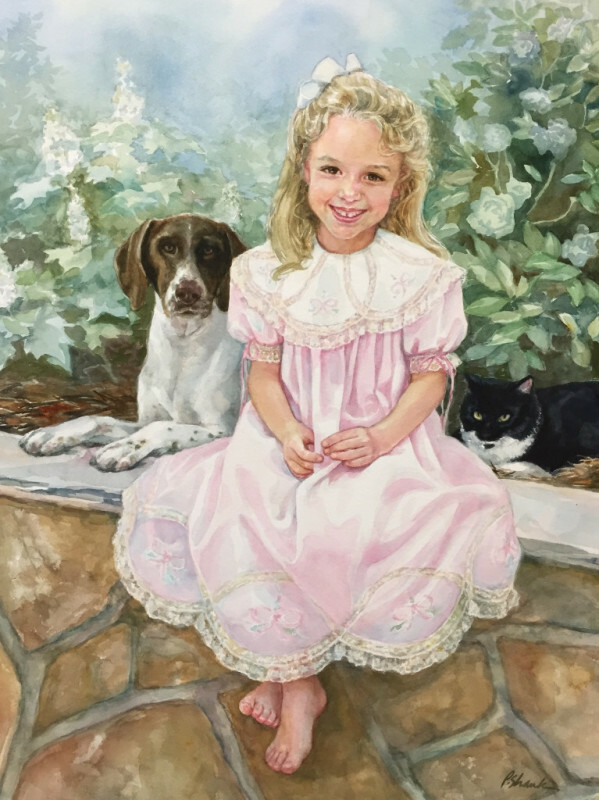 "I wanted to tell you again how much we love and enjoy Grace's portrait. ..what makes it even more special is that it was painted by someone who is kind and has an obvious love for children." 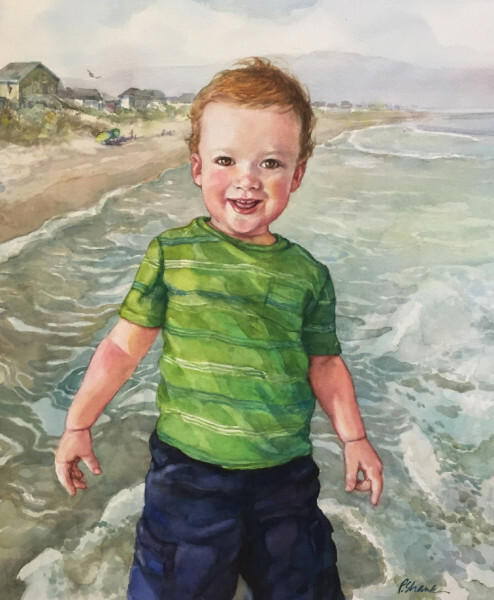 "When I look at Lawson's portrait, aside from the technical accuracy of all of his features, it just amazes me the way that you have captured his emotions. 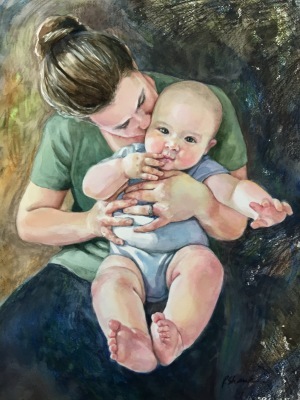 While this portrait is truly a treasure in our home, I know that it will mean so much more as my son grows into an adult and has lost his childhood features." "We are delighted with the portrait of our daughters, as are all to whom we have shown it. We thoroughly enjoyed working with you and will eagerly pass your name along to our friends."